“Repurposed” is one of my favorite new words. Now that I know the word, suddenly I see how I am surrounded by things that have been repurposed. The most obvious of these is The Village at Grand Traverse Commons, the official name of the place where we now live. Its original purpose was to help the mentally ill become well through exposure to beautiful architecture and the healing power of nature in its parks and gardens. The Commons has been repurposed as a place whose purpose is to make me happy. 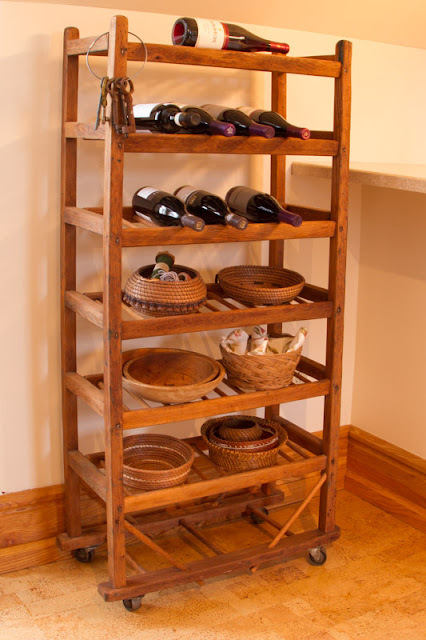 Come to think of it, this may not be a good example of repurposing . . ..
· An antique rack once used in the manufacture of shoes now serves the purpose of storing our wine. · What now has become an antique distressed metal vase for flowers previously was purposed as litter on the New Mexico desert. Before that – some sort of tin can. · We’ve repurposed a French parlor stove into a plant stand. · Bookshelves? One of them now holds modem, router, Roku device, etc. This is progress. · The slab of stone on top of our dining room table is now the top of our dining room table. I can only guess that its previous purpose was to support a hillside somewhere in France. · We have repurposed red wine as a heart medicine, and Pinot Noir in particular as a cancer preventative (really!). 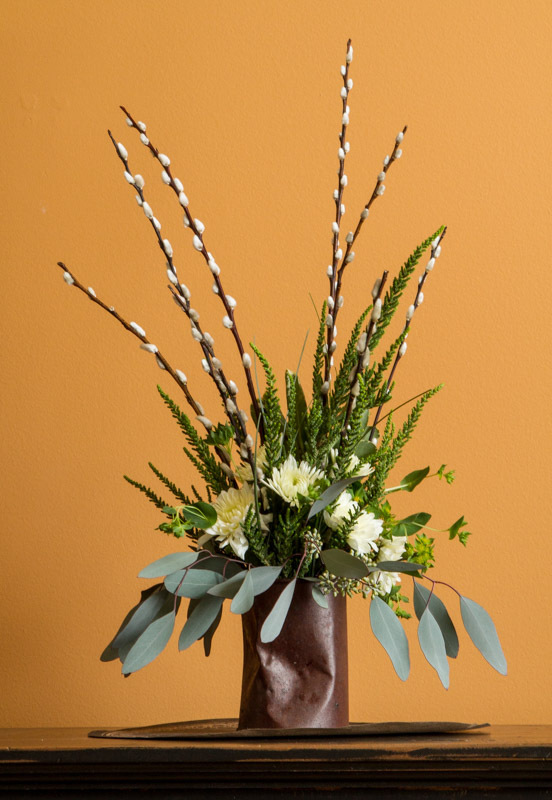 · We often repurpose paper grocery bags. Just yesterday one was transformed into an absorbent pad for cooling Kim’s molasses cookies. · What was once just our living room couch has assumed a secondary purpose: refuge from snoring. · Our morning hug is repurposed as physical therapy when I use pressure to break down muscle spasms in Kim’s back. · The four flights of stairs leading to our “suite” have been repurposed as a cardio-enhancement device. · Our shower has been repurposed as a humidifier for our condo – accomplished by leaving the door open and the fan off. · As I am getting older certain body parts are being repurposed. I choose not to provide any details. The objects being repurposed most likely enjoy the experience, provided there is no humiliation. Kim and I are gradually repurposing ourselves, and we anticipate more repurposing as we become “vintage” if not actual antiques. Our new purposes are not entirely clear – yet – and it’s exciting to go through the process of redefinition. At the moment my former sense of purpose has been replaced with my daily to-do list, but that’s not quite the same. I don’t yet feel like a dented and discarded can with a rusty patina that is a charming contrast to fresh flowers, but what am I? I suspect that it won’t be easy to unpurpose my life, but it’s certainly worth a try. David&Kim, i really get a chuckle from your sharings...and, now i want to meet this 'Beth East' prophet-person! As we continue to adore our uses. Bowing deeply to the Now. I like to think that I have a "porpoised" life, swimming freely on this planet, having fun, being a member of a community, having a carefree attitude, entertaining people, and being the best I can without harming others. Ha! Again, I am laughing. These blogs are so light to read after a busy day teaching. And to see my name (such an honor) surprised me , and then it didn't, because Kim nailed it- I would totally say (in fact, have most likely said) those exact words! Great blog again Dave, thank you. Now, I'm off to find a job for that MC Hammer CD...because, you know...he's Too Legit To Quit.